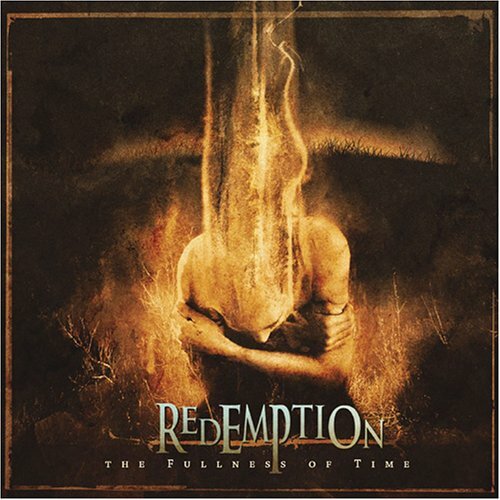 ‘The Fullness of Time’ is the second album by progressive metal band Redemption, featuring members of Fates Warning and Prymary. This album featured a number of line- up changes from their debut, including the vocal Ray Alder (Fates Warning), James Sherwood and Chris Quirarte (Prymary) in bass and drums. ‘Threads’: A quite strong opening track, with some heavy and rather speedy riffs and drumming beats at the beginning, and getting more complex throughout the song. This track, though it might left a strong impression at some early listening, eventually become a mediocre track compared to the rest of the album. Still a good track though. ‘Parker’s Eyes’: Some soft guitar melody with vocals in the beginning, and then develop into a heavier song with the riffs and drumming, but still melodic in some parts because of the keyboard sounds. Also check out the cool guitar solo on the middle part. ‘Scarred’: This track kicks out with some speedy riffs, drumming and keyboard. The song itself is played on a fast tempo overall, and have a quite catchy melody in some parts and great solo. The guitar sounds is quite dominating than the other instruments here. ‘Sapphire’: Another track with soft opening, a guitar melody with some singing. Then the guitar kicks in, followed by keyboard and drumming. The tempo is slower here, thus make this song more melodic than the previous track. From the middle part, the song gets more interesting with some guitar solos and drumming. I like the singing in this track most; Ray Alder vocal is great and definitely a strong element of the song as well as the music. ‘Sapphire’ is really an awesome track, probably the second best after ‘The Fullness of Time Suite’. ‘The Fullness of Time Suite’ is divided in four parts. The first part, ‘Rage (I)’ is a strong opening. You’ll hear some sort of an angry speaking, and then the guitar and the drumming kicks in nicely. The song has a nice keyboard melody in the middle, and also some guitar solos following in and ends in a bit heavy way. Then the second part ‘Despair (II)’ starts with some nice piano tunes. The song become slower and catchier here, and become a bit heavy toward the end although it ended in some nice piano melody. Part three, ‘Release (III)’ is an interesting part, with some tempo shifting, guitar solos, and some catchy parts in it. ‘Transcendence (IV)’ closes the suite and the album very nicely. It started with some beautiful keyboard melody and guitar tunes, with the nice vocals of Ray Alder. This is track is beautiful and melodic in some parts and complex but interesting in the other. Through the end of this song, the music becomes more melodic and ended beautifully with the keyboard and great vocal. As a whole, this track is really awesome, and definitely the best track of the album. Overall, this is a great album. The music is cool and the vocals just great. The only flaw here is probably that the album sounds a bit too technical in a few parts, with the guitar solos, drumming and others. However, ‘The Fullness of Time’ would likely make a great addition to your collection, especially if you like bands like Dream Theater, Fates Warning and some others. This album deserves 4 stars, and highly recommended.